Here’s the first six measures of a recomposition of Lizst’s recomposition of Schubert’s Ave Maria. In this one I’ve stretched the tuning with some high number ratios. Not very far at this point, but that’s the direction. I also play with the thumb melody. 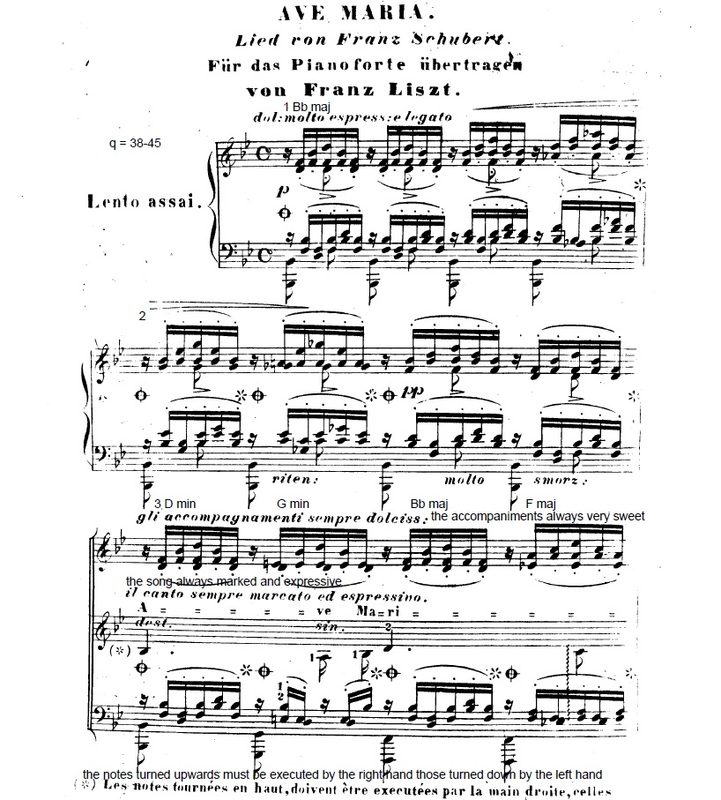 In the Lizst version, the vocal part is played by the thumbs, between the high and low arpeggios. In this recomposition, they can go anywhere, and slide into place, or trill and slide simultaneously, or tremelo. More to come.